Excellent piece in the newest issue of The United Church Observer about the current ideological battle over building more prisons in Canada. This debate could not matter more directly to Aboriginal people. 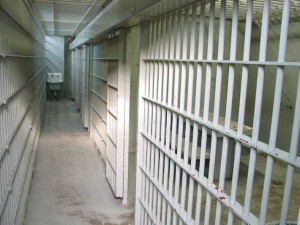 For one, they are disproportionately represented in Canadian jails — in 2006, Correctional Service Canada reported that, “while Aboriginal peoples comprise 2.7 percent of the adult Canadian population, approximately 18.5 percent of offenders now serving federal sentences are of First Nations, Métis and Inuit ancestry.” These percentages get even more distorted in western Canada, where most Aboriginal people reside. When public finances are in the red and other programs are being cut back, spending on prisons raises three questions: Is crime increasing? Will tough-on-crime policies, more jail time for more people, control it? And why are we willing to spend so much to put people in prison and so little to keep them out? As Clarke methodically explores every side’s answer to the first two questions, I found it was the third question that perhaps has the most to say about today’s cynical, political climate. One fact cited by the article really struck me: how, “in every culture and every age … young men between 14 and 29 are largely responsible” for crime. Yet I cannot readily recall any anti-crime policy that targeted its approach to the specific needs and circumstances of this 16-year window of pre- and early-adulthood. As I’ve written before, I’m compelled by arguments that see crime as a last, less-than-lucrative, resort for most of the people who engage in it. To see energies expended so vigorously over the incarceration versus the education of these men probably tells me all I need to know about where the federal government’s priorities stand. Thanks again to Ms. Clarke for her thought-provoking work.